Wouldn’t it be nice if we could control everyone around us? Unfortunately there are times we are forced into difficult situations because of decisions made by someone else. While we may know the right thing to do we are powerless to act. Instead we are left at the mercy of another’s lack of wisdom. These circumstances may be frustrating, but we are not left alone as helpless victims of another’s insanity. God is still in control, and we can fully trust Him to accomplish His purposes. Paul was en route to Rome although he had warned the ship’s captain it was too late in the season to set out to sea. The decision was made against Paul’s will. Now he, along with the rest of the crew, was in danger of losing his life. The angry winds howled around the battered ship with fierce malice. The reeling vessel was barely held in place by a lone anchor dangling beneath the churning waves. On deck the captain and crew frantically tried to hold the ship together in the face of the hurricane by passing ropes underneath the straining hull. Thick darkness surrounded them and reached out inky fingers which tightened around the men’s terrified hearts, squeezing out their last ounces of courage. The crew had thrown all the supplies overboard to lighten the ship’s load. They, weakened by lack of food, were beginning to lose hope of survival. Suddenly out of the gloom and darkness Paul heard a comforting voice. “Do not be afraid, Paul. You must stand trial before Caesar; and God has graciously given you the lives of all who sail with you.” Paul recognized that despite the captain’s bad decision, God’s plan could not be thwarted. He repeated these words of comfort to the fearful men, and their courage returned. God stepped into the storm, delivered the crew, and Paul finished the task that God had for him. Have any of you ever said or thought these words? If you are honest I am sure that you, like me, have expressed these feelings at one time or another. Maybe a friend betrayed your trust . . . or a client did you wrong . . . or a family member pushed the wrong button one too many times. People are imperfect and regular contact affords plenty of opportunity for rubbing one another the wrong way. Hurt feelings and raw emotions sometimes get the better of us. But what if there were a different way of handling the situation? Psalms is a wonderful book. Located near the middle of the Bible; its pages are filled with hymns and prayers from a number of different writers. For centuries many have found great comfort by peeking into the thoughts and emotions of those long gone. God, in His wisdom, chose to share with us the deepest feelings of some of His children in order to help us process our own struggles correctly and find comfort in time of need. But even as David cried out to God for help he also prayed that God would not judge him for his own sins. He recognized that he was a sinner and needed God’s mercy and that no man is righteous in God’s sight. Later David expressed his trust and understanding of God’s lovingkindness, faithfulness, and righteousness. He belonged to the Lord, asked for deliverance, and found refuge in Him. He did not take matters into his own hands, but waited for the Lord to act. When an irritating person – maybe even an enemy – has gone too far, we can go straight to the Lord with our complaints. Just as the Psalmist vented all his emotions, we too can call upon the Lord in our distress. But it is important to remember that no one is righteous in God’s sight apart from Jesus – not even you! Everyone needs forgiveness. Thankfully, God doesn’t remember us according to our sin, but according to His mercy. Don’t take matters in your own hands. Ask the Lord to help you see things differently or to intervene when the situation warrants it. And maybe, instead of being done with the person, you will find you can forgive as the Lord has forgiven you. As we live our lives there will be times when we reach special milestones. Learning to walk, entering school, accepting our first job, and getting married are a few. Yesterday I celebrated another landmark event: yesterday I turned fifty. I have never been one to care much about my age. I have enjoyed every stage of life and had much to look forward to. But somehow turning fifty has felt different. This particular number causes a person to stop and take notice. When you turn fifty you suddenly wake up to realize you have probably lived more than half of your life. With good health there may be twenty-five to thirty-five years left. This may seem like a long time to those who are young, but when you turn fifty you can look back and see how fast the years have flown by. Looking forward, time, like a freight train, hurtles downhill picking up speed with every second. When you turn fifty you also review the things you have done and take stock of all that you would still like to accomplish. When you turn fifty reality dawns and you realize that the dreams of your youth may never pan out the way you had hoped. You will probably never be documented in the Guinness Book of World records for some great feat, accomplish a huge goal that changes the world, or even be remembered for your sacrifice and service for God. But when you turn fifty, you also settle into a calm assurance that none of this matters. The NIV Application Commentary says that God does not judge us according to our accomplishments, but according to our faithfulness. As time passes and we grow closer to Him, He reveals what is good and what He requires – “to act justly and to love mercy and to walk humbly with your God” (Micah 6:8). I have hit a milestone in my life. I have enjoyed fifty years of living, loving, and enjoying. Who knows how many years are left? But when you turn fifty – just like when you are twenty, or thirty, or forty – the importance of your life is based, not on your accomplishments, but on your faithfulness. And this is something that never grows old! My mind is haunted with memories from this past weekend. Luke, Abigail, Dad and I participated in our town’s opera house production of Broadway Tonight, a musical revue produced by members of our small village and several adjacent communities. We had so much fun meeting new people, reconnecting with others, and being part of a fantastic show that everyone enjoyed immensely. Another benefit of participating is the opportunity to learn new songs I had never heard before. This past week, as I have listened to the performance of these new songs over and over again, the words have settled into my mind and I can’t get them out. One unfamiliar piece, sung by two star-crossed lovers played by Kylie Beste and Josiah Winey, was particularly emotional. Written in the Stars by Elton John as sung in Aida speaks of lovers who are denied a life together because of political circumstances. The lyrics of the song crush the audience’s hearts as each person can relate to the tragic characters’ agony through their own experiences of lost love and disheartening circumstances. None of us can escape experiences of disappointment because we live in a fallen world. People will let us down, whether intentionally or not. All you have to do is look at the songs we write and sing. A young girl participating in a spelling bee sings about the pain of an absent mother and loveless father (I Love You sung by Karolyn Sabo). An unrefined girl wishes only for a room somewhere with a chair and someone to take care of her. (Wouldn’t It Be Loverly sung by Amy Brown). A young woman lamenting the days of happiness that seemed unending but now all her dreams have fallen apart (We Can Never Go Back to Before sung by Jillia Weisert). A young man raised in a jungle by apes searching for his place in the world (Two Worlds from Tarzan sung by Matthew Crickard). One after another, the longing for something settled and unchanging was clear through the lyrics of many Broadway tunes, and all of us are drawn in by our own feelings of unsettledness. Though we long for it desperately, belonging without fear is not something we can find on this earth. There is only one place and one Person Who can make this a reality in our lives. Our God, is a friend who sticks closer than a brother. He is the lover of our souls. He is the perfect Father we always longed for. He is never changing and will never leave us nor forsake us. Nothing and no one can keep us from His love. He comforts our hearts in times of sorrow. He provides for our every need. He gives joy even in the worst of times. He provides hope when all seems lost. He is everything we could ever dream of or hope for. Another Broadway Tonight show is over. I am filled with wonderful memories, but I also feel a sadness. Never again will our cast be together again in the same setting and place. Things change, people move on, and new adventures await us. But I am forever grateful that there is a person who can fulfill all the longings of those who put their hopes and trust in Him. A person’s last words are very telling. The final statement and messages, whether well thought out or not, often give an overview of a dying person’s priorities. Some are very instructive, others are funny, and others are very sad. When Great Grandpa knew he was dying of cancer he made a special trip over to see Grandma just to remind her and the rest of the family to “Stick together.” He had seen too many families pulled apart by greed and busyness and wanted to make sure his children remembered to support each other through thick and thin. These are words that I have never forgotten. Joshua23 records another farewell message. Joshua, the successor of Moses and the man who led the children of Israel into the Promised Land gave it. He knew that he was about to go the way of the earth and wanted to impress on the nation all that he had seen and learned throughout his fascinating life, so he called together all Israel to hear his final words. Reminder: Joshua reminded God’s people of God’s faithfulness in fighting for them. He was one of the two men who had lived through the miraculous Exodus when God delivered His people from the mighty Pharoah of Egypt. He had experienced the ten plagues, walked through the Red Sea, been fed by manna in the desert, and drank water that poured from a solid rock. He had seen God deliver the nation from all their enemies and give them the Promised Land flowing with milk and honey. He had also seen the tendency of the people to complain and forget Who it was Who had given them all these things. Reinforcement: Joshua reinforced God’s expectations of His people. He told them to be very firm, and to always do all that was written in the book of Moses. He implored them not to turn aside from these laws and to faithfully worship the true God clinging only to Him. Revitalization: Joshua revitalized the nation’s faith in God’s ability to drive out the rest of the enemies, and assured them that the Lord would fight on their behalf just as He had promised. As Joshua reviewed his life he was able to say with confidence, “. . . Not one of all the good words which the Lord your God spoke concerning you has failed; all have been fulfilled for you, not one of them has failed.” Joshua knew this to be true because he had been there and seen it all first hand. Reason for Obedience: Finally Joshua gave the children of Israel a warning and a reason for obedience. This great and seasoned leader knew that if the nation turned from the Lord and began to cling to the pagan people that inhabited the land, these foreign nations would become a snare and a trap to them. Their heathen habits and customs would be like thorns in Israel’s eyes and a whip on their sides until they perished from the good land that God had meant to be theirs. He reasoned that since God always keeps His promises, He would keep not only the promises of good but also the promises of punishment if the people began serving foreign gods. Joshua had lived a long and eventful life. He had seen much good and bad in the process of bringing the children of Israel out of the land of slavery and into the Promised Land of rest. He knew with certainty that God had fought for His people, but that He also expected complete obedience and unwavering worship. Joshua desired that this great nation would remember all of these things and prosper under the hand of the great God of heaven, so he gave his final message with passion and hopefulness. Many years have passed since Joshua died, but his words still ring true. The same God Who fought for Israel is willing to fight for us if we will only allow Him to be the Lord of our life. He is still faithful, still powerful, and still keeps His promises because He is a God Who does not lie. What He says He will do, and what He promises He will bring to pass. Put your trust in the great God of Joshua. If you follow Him all the days of your life, then someday you will look back and be able to tell your children that you know with all your heart and soul that not one of all the good promises the Lord your God gave you has failed. Every promise has been fulfilled; not one has failed. Wouldn’t those be some great final words to leave with all who come behind you? 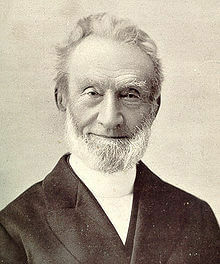 George Mueller, a man of prayer. These powerful words were spoken by George Mueller, a great man of prayer. He is known for the many orphanages that he started in England. Throughout his amazing ministry he never asked anyone for financial support and never went into debt. Early on he decided not to take a salary for his work, but to trust the Lord to supply all his needs. One well-known story tells of God’s great provision for the orphans. The children sat down for breakfast one morning even though the kitchen was completely empty. They began to pray and before long there was a knock on the door. The town baker stopped by to deliver enough bread to feed the hungry youngsters. Soon afterwards there was another knock and the milkman offered them free milk because his cart had broken down right in front of their door. No wonder Mr. Mueller had a secret satisfaction in the greatness of the difficulties. He knew that God was able to do above and beyond all that he could ask or think. While providing for the children’s physical needs, George also fed them spiritually. Every morning after breakfast there was a time of prayer and Bible reading. The hearts of the little ones were strengthened with power through God’s Spirit so that in faith many came to know Jesus Christ as their savior. Those who were without a family came to comprehend the breadth and length and height and depth of the love of Christ and His power to deliver and provide. Over his lifetime George Mueller managed five orphan homes, cared for over ten thousand orphans, and travelled over two hundred thousand miles doing mission work. In all this he prayed about everything and expected God to answer. And God was faithful! So what are you asking God for? God hears the cries of those who belong to Him and there is NOTHING that He can’t do. Develop a secret satisfaction in difficult situations – learn to delight in them. Because we have a God Who is able to do far more abundantly beyond all that we ask or think, according to the power that is at work within us. It happened again! For the second time this winter a deer came bounding out from the side of the road and blindsided one of our cars. Now we have two cars with huge dents and mangled hoods. You need to be so careful driving the back roads at this time of the year. 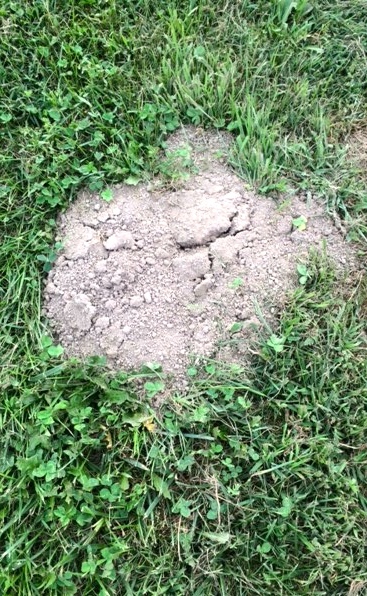 Even when you are watching carefully these skittish animals can jump out unexpectedly and cause great damage. Often in life difficult and unexpected experiences can catch us unaware causing great devastation and frustration. A routine trip to the doctor can yield terrifying test results. Another ordinary day at work could end with packing up your desk and searching through the classifieds. The call could come in that there has been an accident or the school paper we worked so hard on could receive a less than sufficient grade. These things just happen. They jump right out from the side of the road and wreak havoc in our hearts before we even know what hit us. 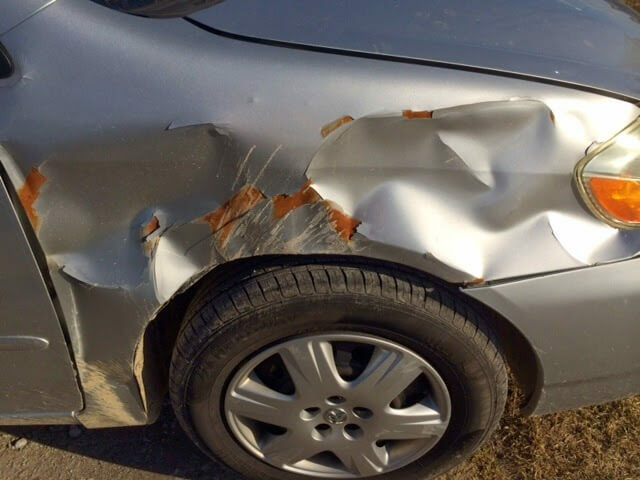 When our cars are in an accident, we can call our insurance company and most of the time they come through with financial help for the repairs, but they won’t be able to help at all when life smacks us in the face. That is why I am so glad for a strong and powerful God who cares about me more than anyone else. This God of Jeshurun (another name for Israel) knows and sees all that will devastate me and He rides on the heavens in His majesty to help me. He could stop these difficulties from coming our way, but often allows them so that we will learn to trust Him. But in the midst of these trials He never leaves us on our own. He is our dwelling place in times of pain and suffering and puts His strong loving arms underneath to hold us up when we feel we cannot stand. Have you been blindsided recently? Look up! God is riding on the clouds to help you. Rest your tired heart and soul in His strong arms.